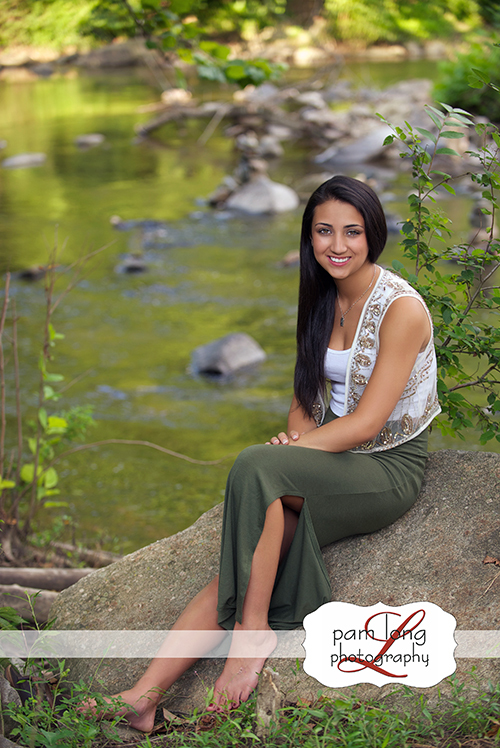 Lindsay is amazing and we were so blessed to have created her senior portraits! 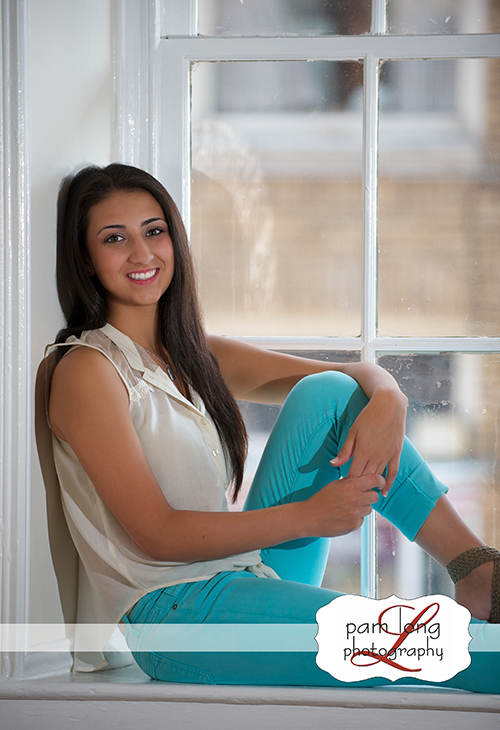 She’s one of our Senior Spokesmodels from Centennial High School and we had such a fun time with her. She’s creative, smart, kind, easy to direct, and GORGEOUS! She’s polite and appreciative, confident and determined. 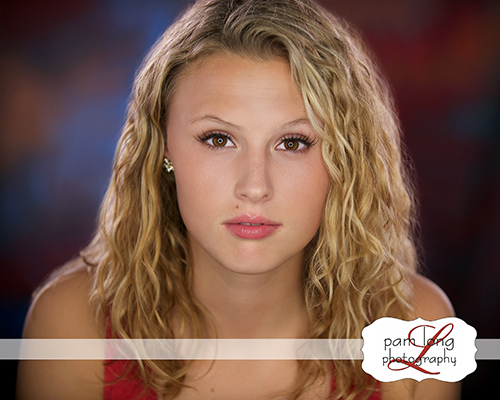 Lindsay has so many awesome “looks” (she can rock the serious face, can’t she? ), and I could’ve photographed her for 10 hours and never run our of ideas. She is quite a budding photographer herself, and at times you’ll find her in the studio helping out either in the camera room or in the office. 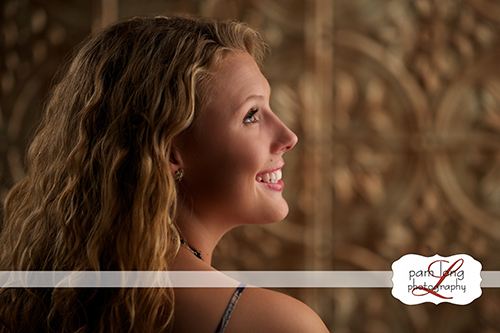 I hope you enjoy viewing Lindsay’s high school senior portraits as much as I did creating them with her. 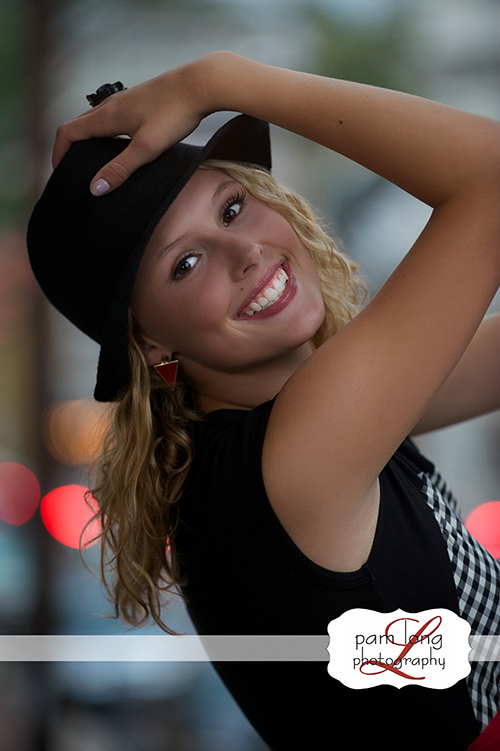 Be sure to check out the video slideshow of Lindsay’s senior pictures too! 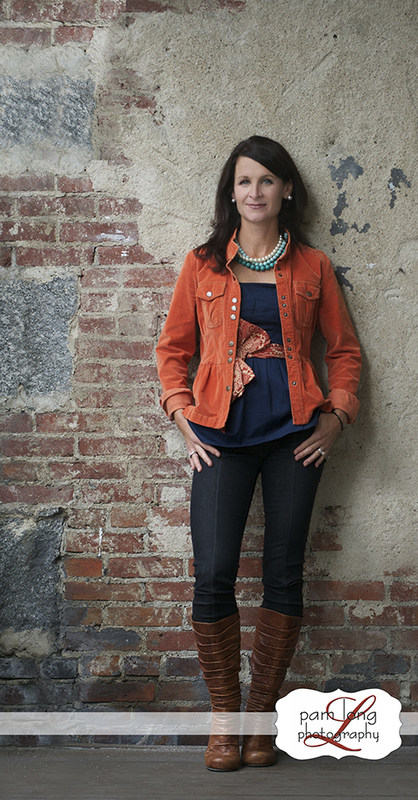 The following images, Lindsay is modeling clothes and accessories from A Journey from Junk. One of our terrific boutiques located in Historic Ellicott City, right here on Main Street. Be sure to stop in to check out everything they have to offer when you’re in the neighborhood. 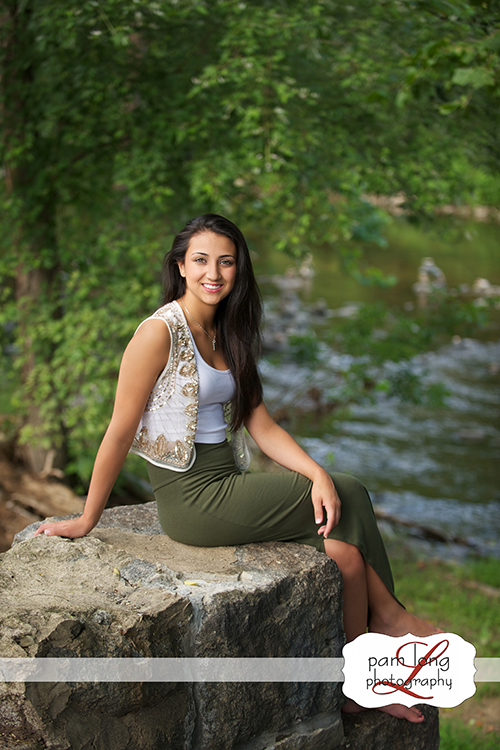 Pam Long Photography is located in Historic Ellicott City, conveniently located minutes from Baltimore, Annapolis and Washington DC. 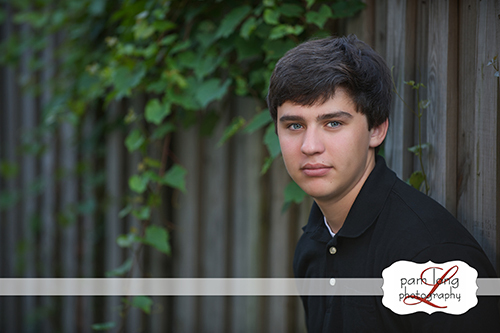 One of the wonderful services that we provide at Pam Long Photography is creating business or personal portraits. 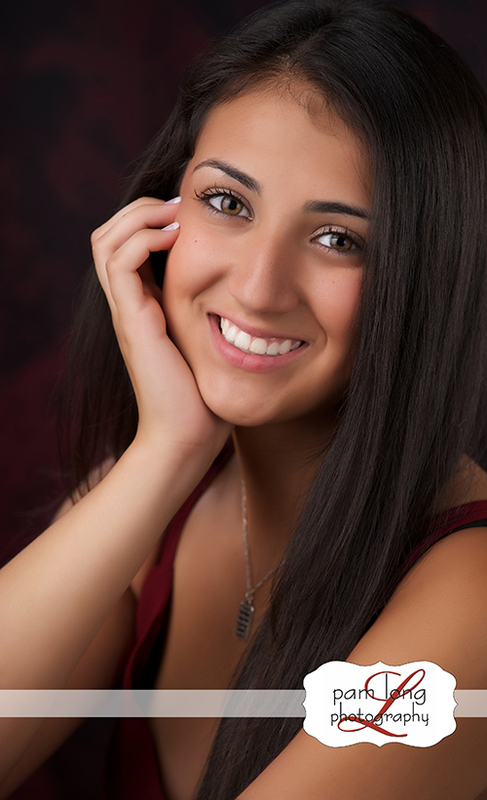 You’ve got one chance to make that first impression, invest in yourself and have a professional business portrait created to help with that first impression. 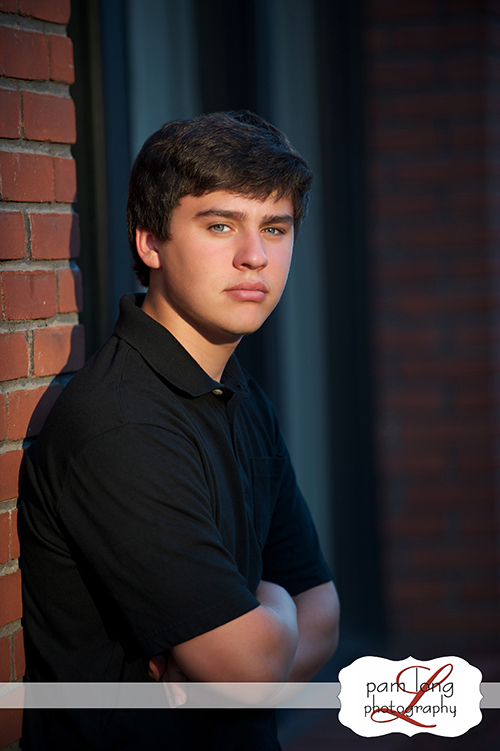 There are numerous ways that we can create your headshot. 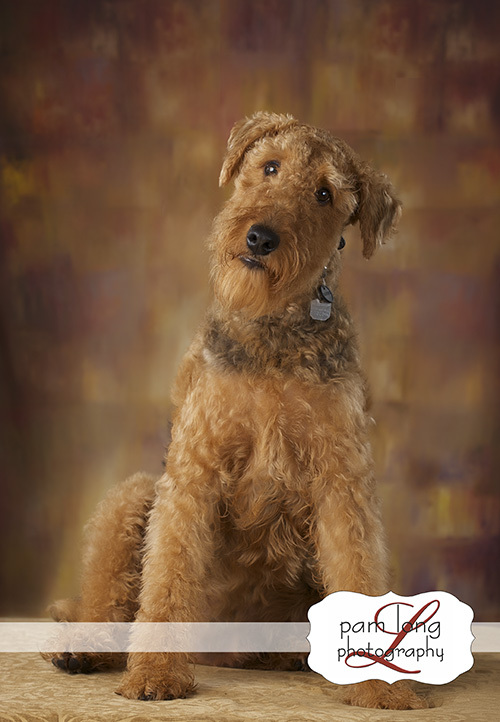 Most clients come to the studio where we have several different backgrounds and lighting choices to suit their specific needs. We also have some beautiful ‘outdoor’ studios, depending on the ‘mood’ that you want to set with your professional portraits. And outside is just where we headed with Christin! 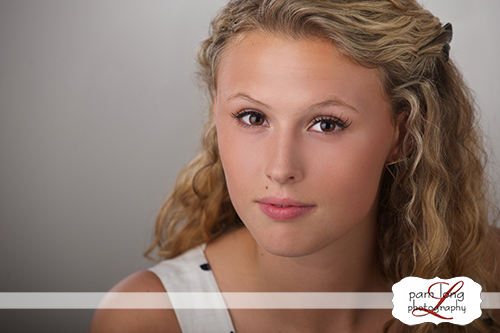 Now you’re probably thinking that Christin is one of my high school seniors! But she’s not! 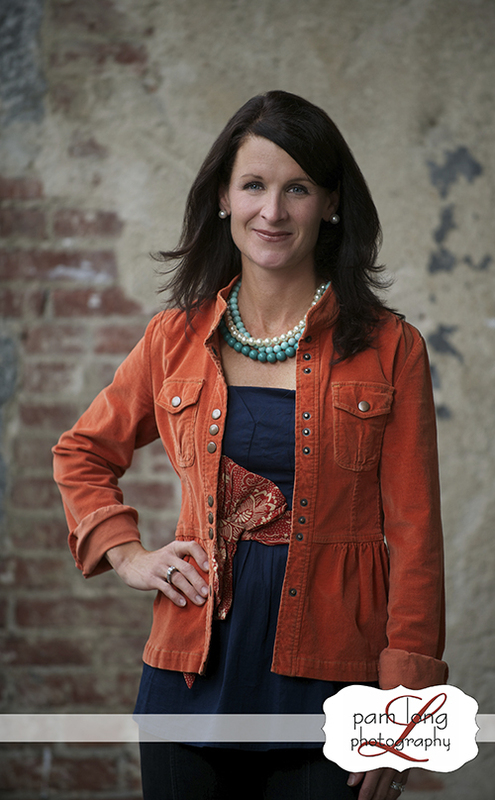 Christin is an incredible woman, mother of 3 sweet, beautiful, talented daughters, wife of a wonderful man that is not only a great husband and father, but has served our country for years. She’s a daughter of phenomenal parents, sister to another incredible woman and friend to many, many people. 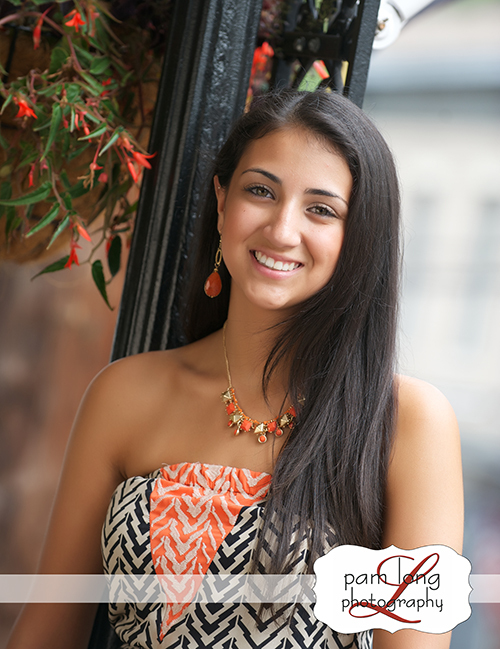 She is a positive, uplifting person and I’m honored to not only call her a client, but a friend. 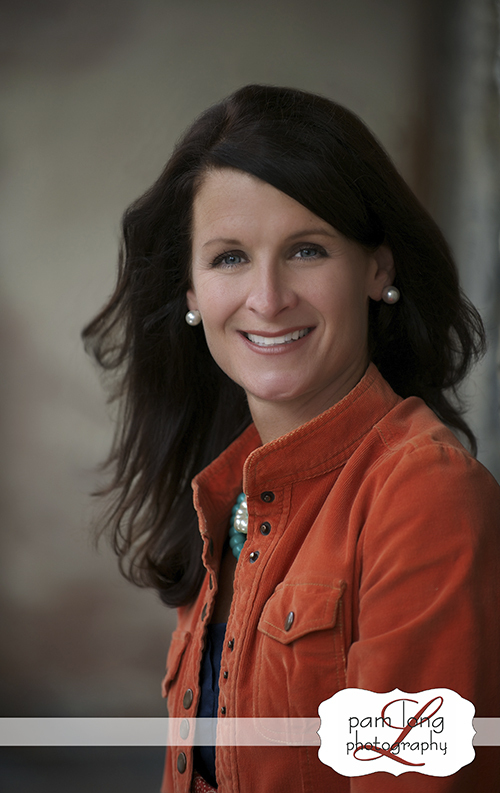 Christin is an Independent Brand Partner with Nerium International, and is building a wonderful business which is changing the lives of many. 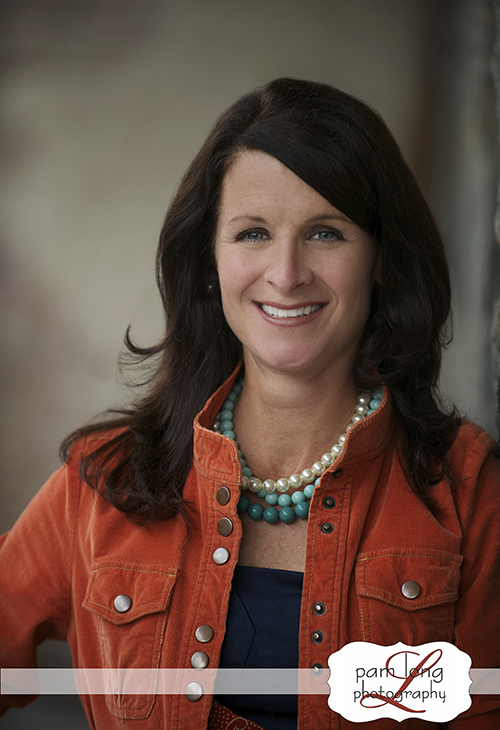 If you haven’t yet heard of this company, you need to check it out at http://christinblunk.nerium.com. Please feel free to contact Christin for more information. 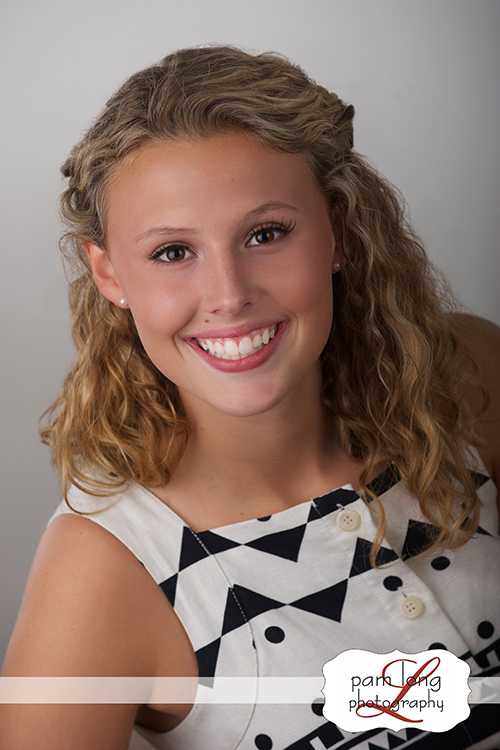 Christin, thank you for choosing Pam Long Photography for your professional portraits. It’s always a highlight to hang out with you! 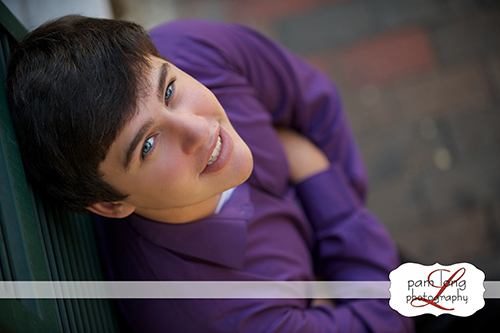 Brad is one of our awesome Class of 2014 PLP Spokesmodels. 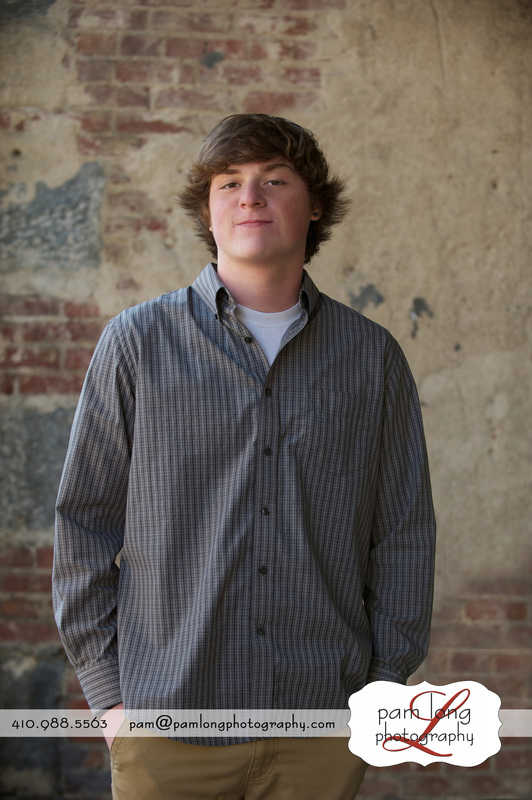 He’s a senior at Glenelg High. We had the privilege of photographing his brother, Evan a couple of years ago and it’s been great getting to know Brad this year. Besides his good looks and charm, Brad’s got a great sense of humor. 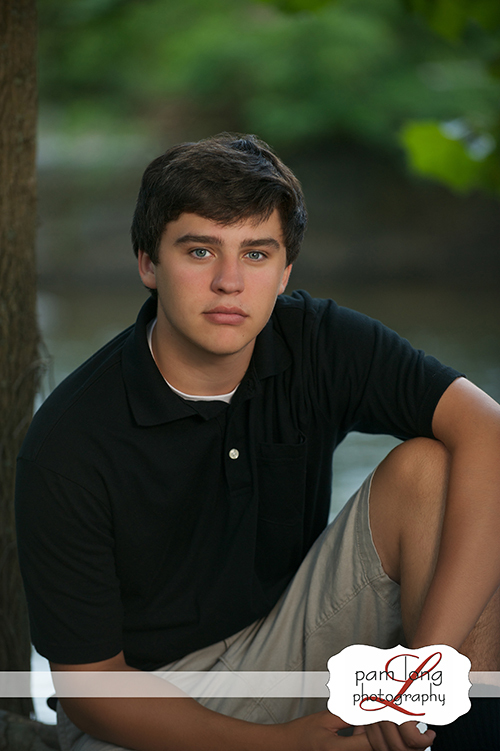 He works part time and is a basketball referee, a baseball umpire and enjoys playing rec basketball too. Another example of how awesome the young people of today are! Thank you, Brad, for hanging out with us. I hope you had a great time! Here’s Brad’s video. Hope you enjoy! 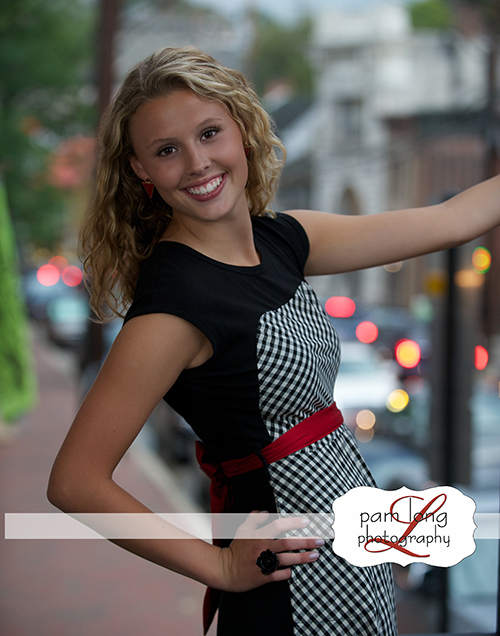 Whether you choose to be photographed in our studio, on location or along the quaint streets of our own beautiful historic town, you will truly enjoy your experience with Pam Long Photography. 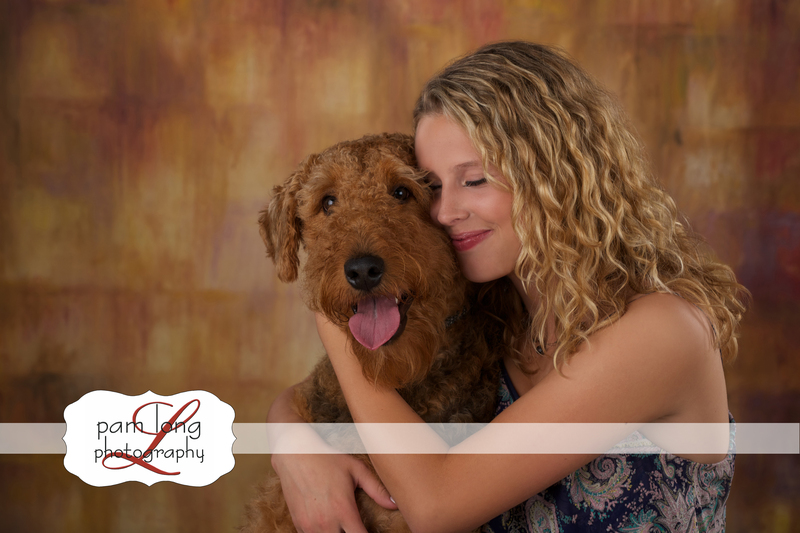 Clients enjoy a variety of portraiture, from maternity and babies, to children and families, high school seniors, business headshots, pets and special events. Whatever occasion life blesses you with, we will help you capture and document those moments to cherish for generations to come. 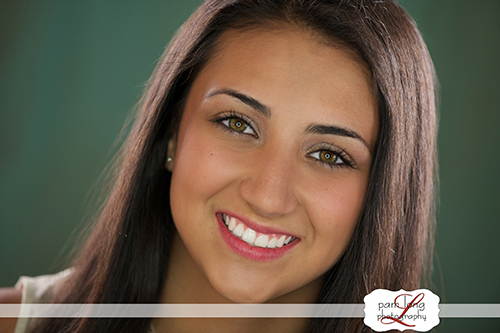 Kelsey is an amazing young lady from Glenelg High School. 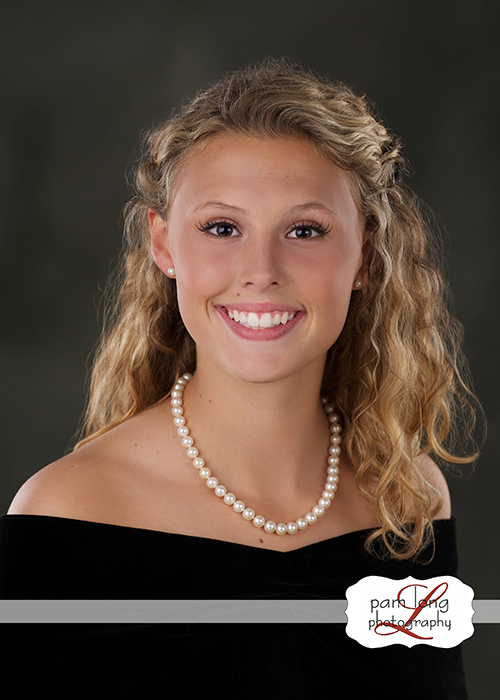 I feel like I’m being redundant, but Kelsey is another bright, sweet, thoughtful and beautiful girl. 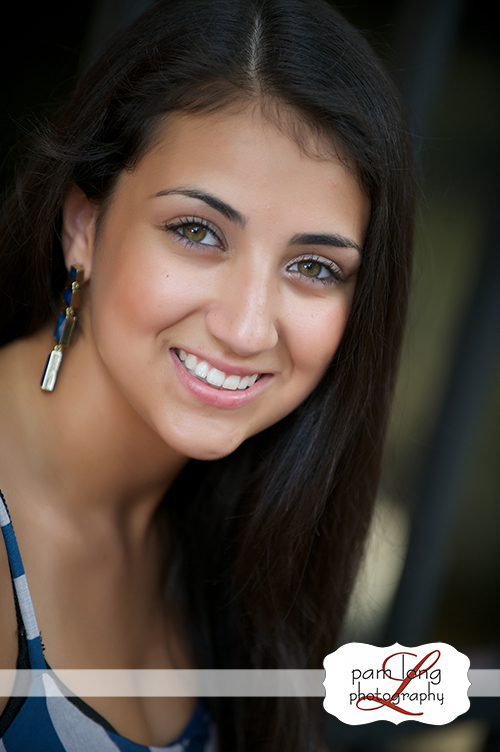 She participates in student government and is also a student mentor. 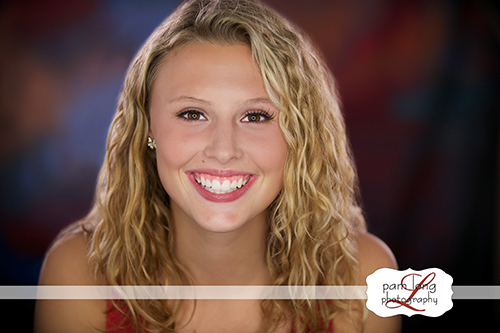 We’ve really enjoyed our time with her and feel blessed that she chose Pam Long Photography for her senior picture needs. 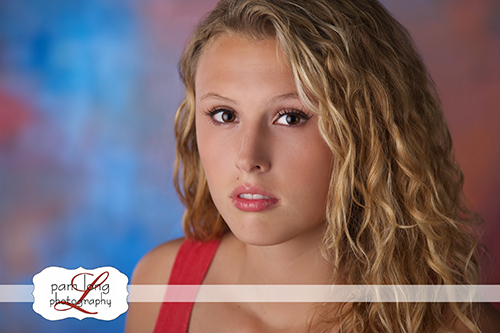 Although a little shy at first, she very quickly became a natural in front of the camera! 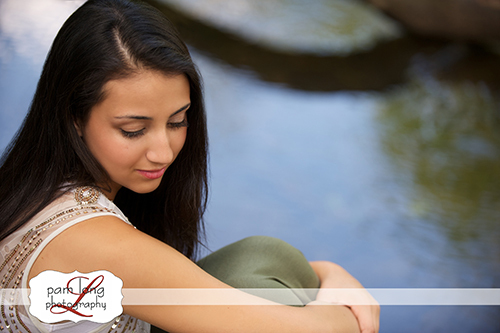 And, it’s obvious, did a wonderful job working with me to create some gorgeous senior portraits! 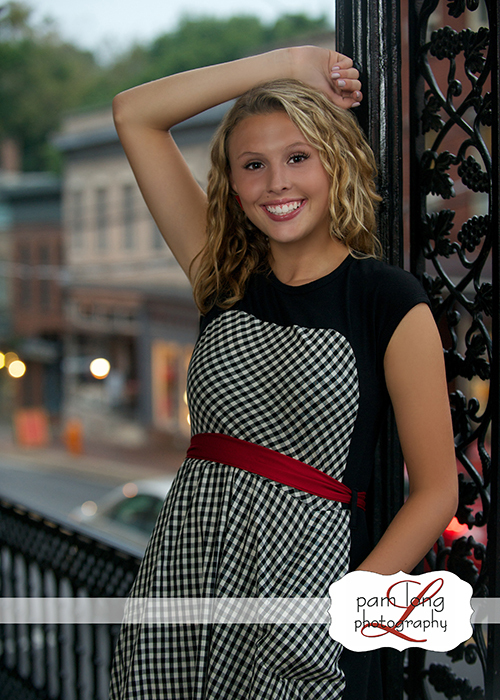 Kelsey was able to model some clothes and accessories from Sweet Elizabeth Jane. If you haven’t had a chance to check out SEJ, please do so next time you’re in Historic Ellicott City. Whether you’re searching for gifts or something special for yourself, you’ll have a wonderful time browsing their clothes, jewelry, housewares, and furniture. Their service is always friendly and helpful and your choices are plenty! 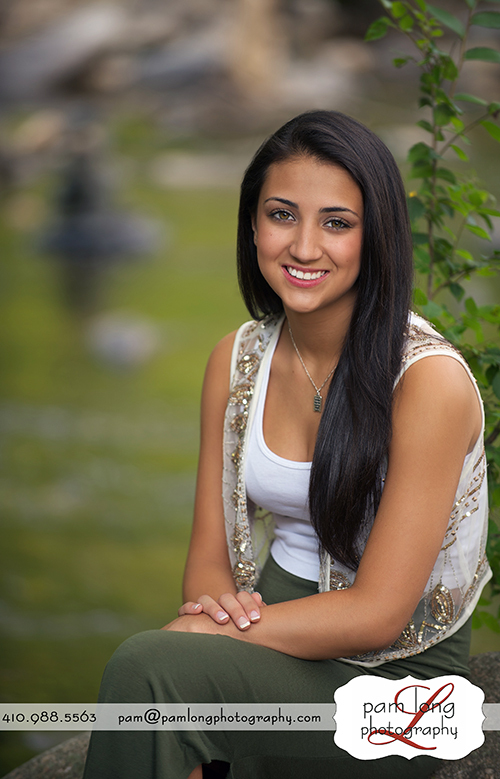 Following is Kelsey’s video showcasing some of her senior photos. The following dress, earrings and bracelets are courtesy of Sweet Elizabeth Jane. This chevron patterned maxi is also a Sweet Elizabeth Jane dress! Love the accessories that are paired with this. Thank you, Linda and Nikki, for introducing me to Kelsey and Dora! 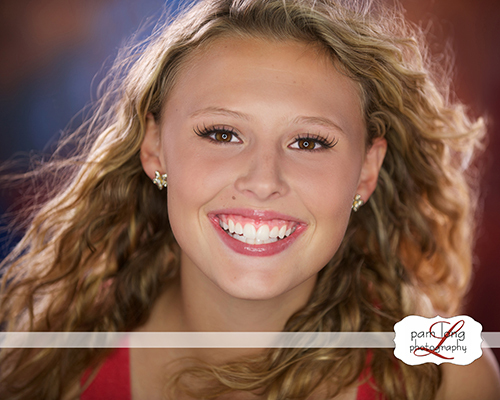 🙂 I appreciate the trust you place in me when you refer Pam Long Photography! 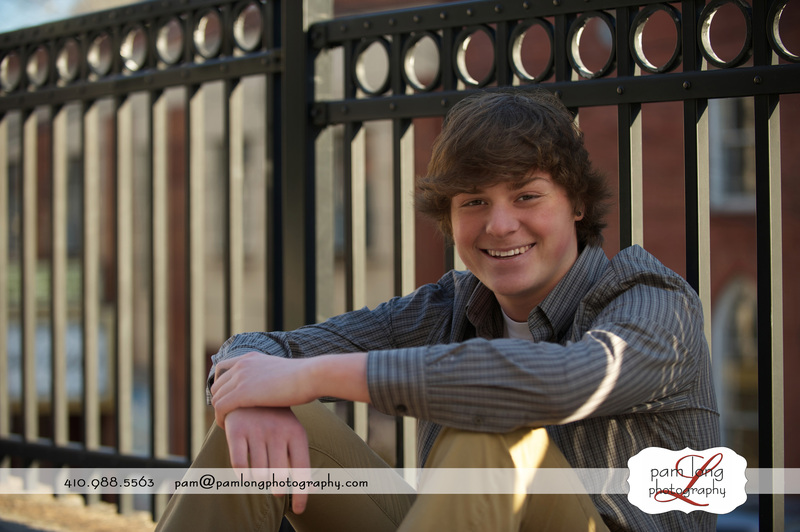 What a blast we had during Jamie’s senior portrait session! He is so charismatic and has such a winning smile! 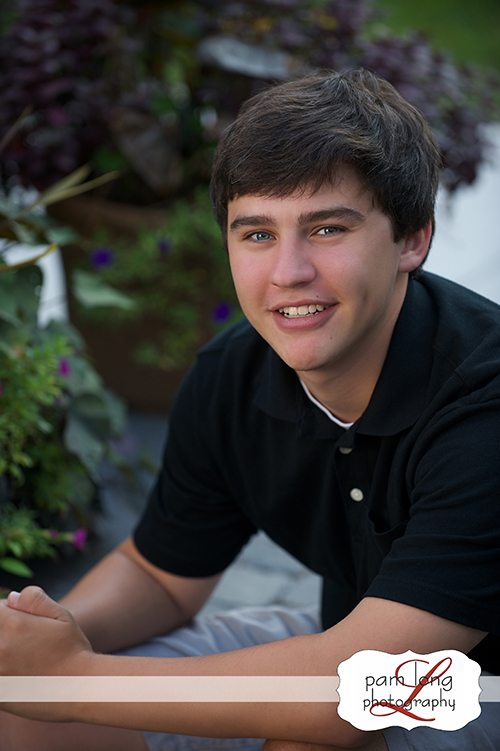 Jamie is a very talented young man – he plays lacrosse, dj’s with friends and enjoys cooking! How awesome! We had so much fun working with you and we wish you every success! Keep in touch with us and we definitely hope to see you in the future! 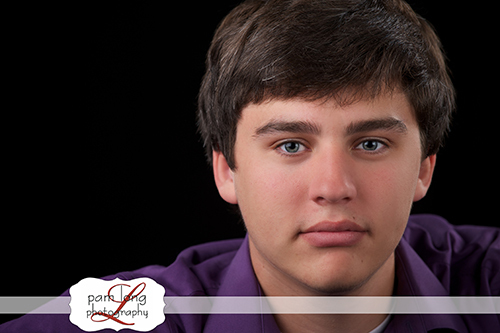 Thank you, Jamie, for choosing Pam Long Photography! 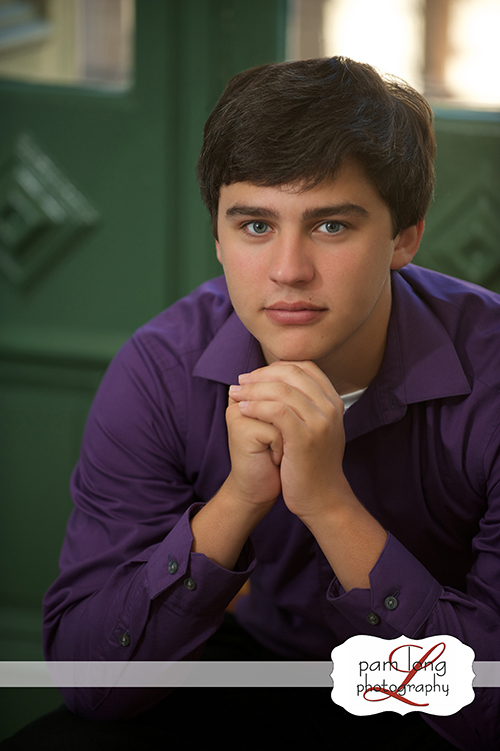 For more information about our photography services, please contact our studio. 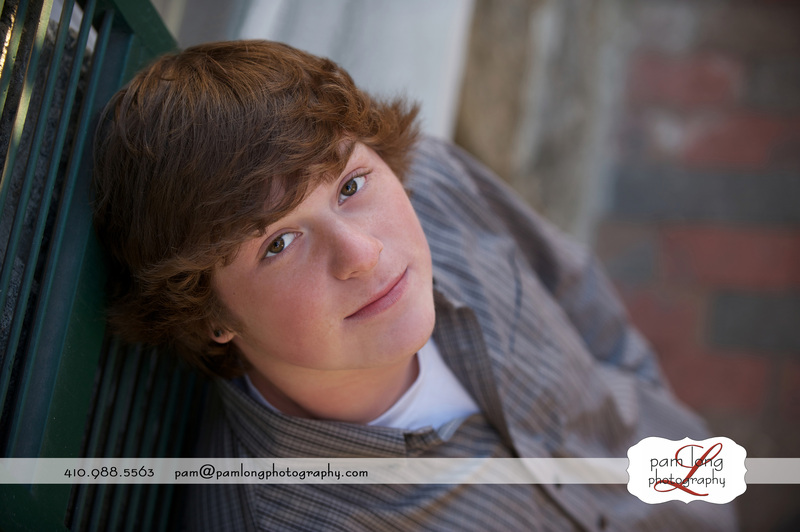 410.988.5563 pam@pamlongphotography.com.